The world's first double function key keyboard! Majestouch MINILA is the MINI LAyout version of Majestouch and we've made it as compact as possible by sharing Function keys with other keys, it's most striking feature is the "double function keys" located on each side of the spacebar. 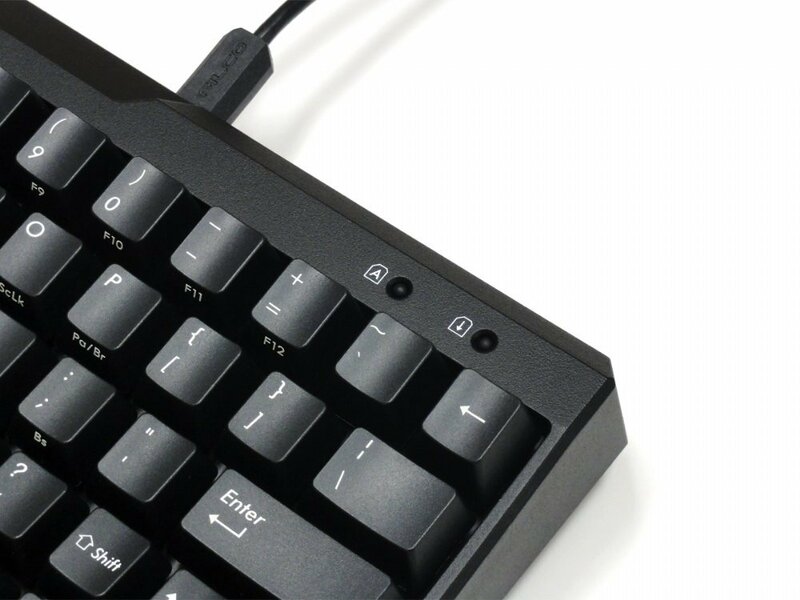 Lots to like about this keyboard - the choice to shorten the spacebar and use thumbs for the function keys is much more ergonomic than putting them around where right control is (where most other 60% go for) - I guarantee you wont miss the rest of the space bar. The layout of navigation keys available through the function layer is thoughtful as well - i particularly like the backspace key on the semicolon, letting you delete without leaving the home row. You can swap caps lock and control in the hardware (very handy) and the keyboard includes some extra keys and a key puller so you can change this physically too. While not essential, this is a nice touch. Build quality overall feels very solid. 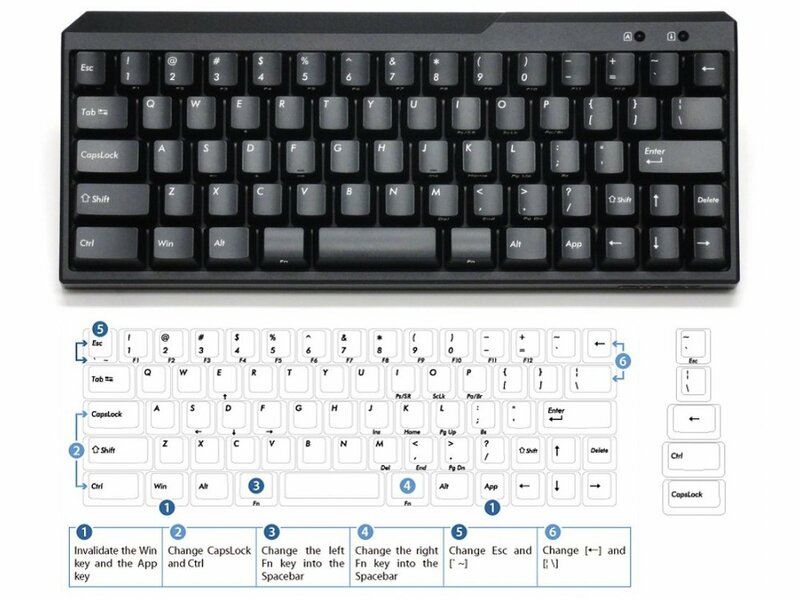 There are a couple of weird things about the layout - for example, right shift and backspace are tiny (though as i mentioned, you can get at backspace on the home row with the function layer), and the staggering of the bottom layer of alphabetical keys is a bit unusual. I personally haven't found this to be a problem so far though. It's also a bit of a shame that there is no programability in the function layer, but overall its a very nice design. 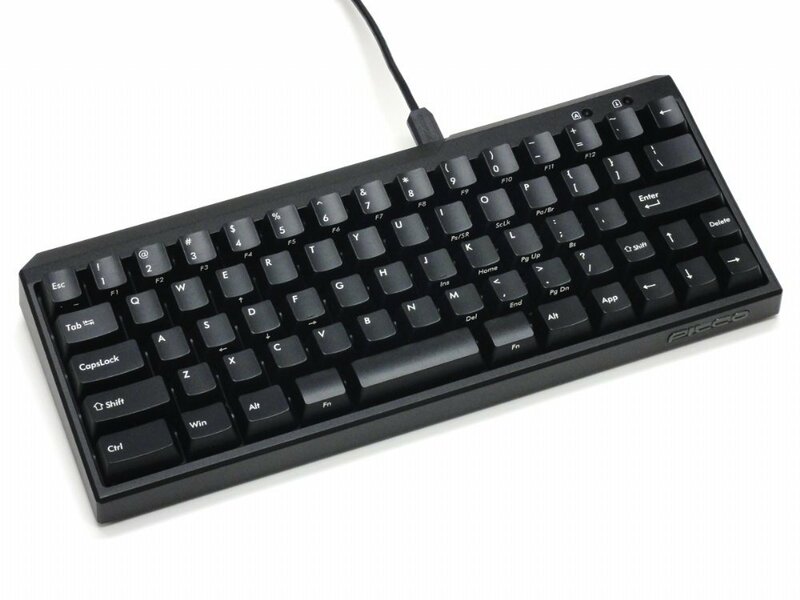 I was replacing a Happy Hacking Keyboard Lite 2 (HHKB) which has served well on and off over 10 years and was looking for a similar compact layout with quality mechanical keys. After considering several options I selected this keyboard. 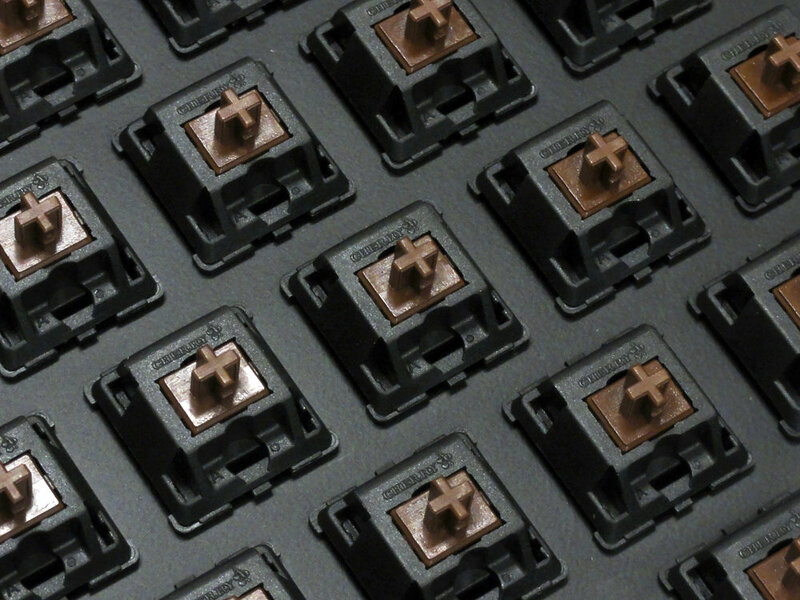 It has quality Cherry MX 'brown' keys, a 60% layout and some layout flexibility. What you get - a sturdy keyboard with a bit of heft despite its size - not in the least flimsy. It has a blackdark grey matt finish with white top printed keys (and additional functions printed on the front). 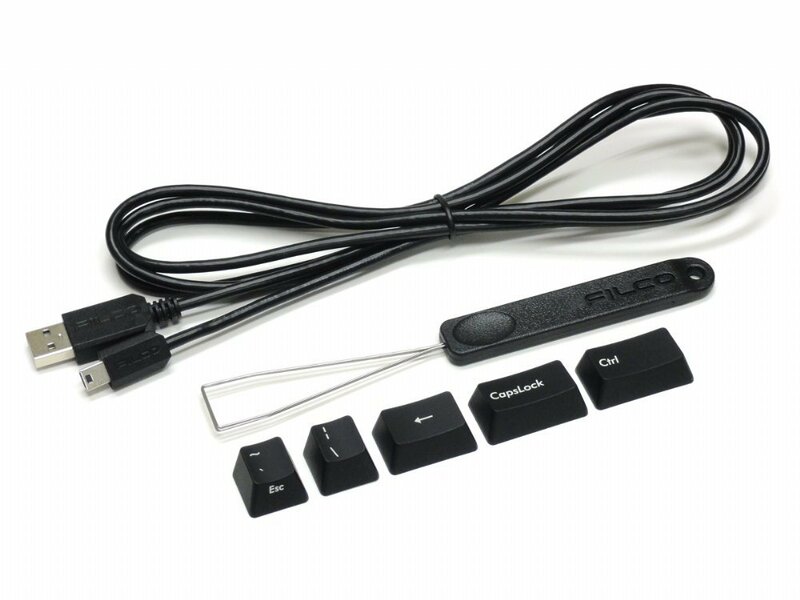 It comes with a keypuller and a handful of extra alt-printed keys if you want to configure some key functions (more on this below). DIP switches for this purpose are on the bottom with a clear diagram showing their functions printed on a sticker on the base. There's a more expanded diagram on the box and a pamphlet included with similar diagrams, printed in Japanese and English. 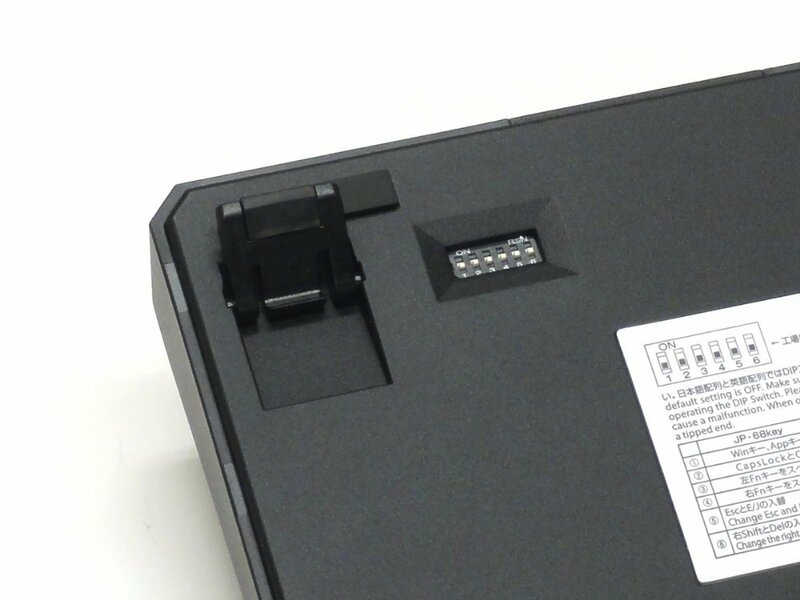 It comes with a lengthy USB cable (1.8m) which plugs into the rear and an adjacent full size USB 2.0 connector. Layout - this was an important consideration for me. First, its US layout which suits me. 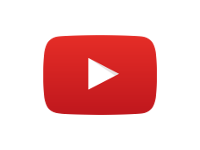 (A GB layout is available.) It's a 60% layout with cursor keys so there are some compromises. 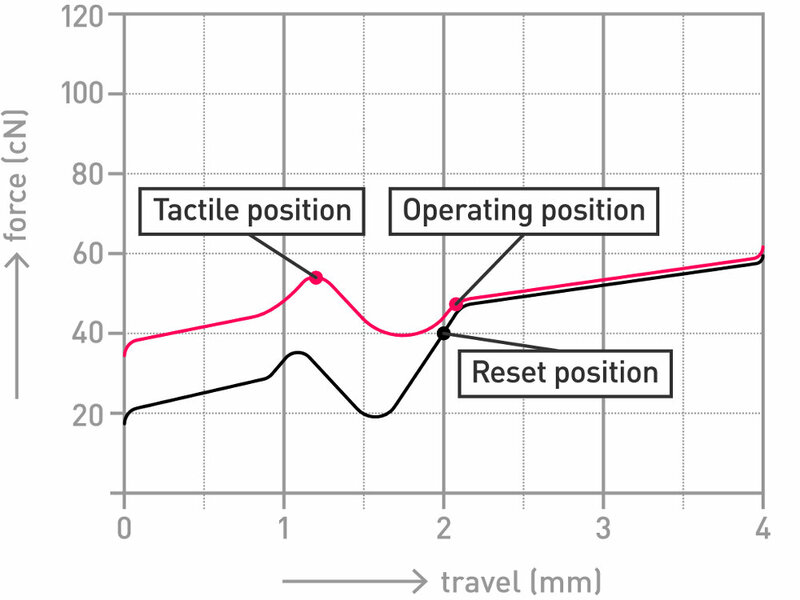 On this keyboard (as in most other 60%s) the Escape key is on the number row at the left, in this case displacing the `~ key to the top right next to =+. Esc to the left of '1' suits me as I use emacs and expect Esc to be handy. The HHKB is similar in this regard. The cursor keys are squeezed onto the bottom right with the Delete key located below Enter. Unfortunately this forces the right Shift key to be small and this, if anything, is the most difficult thing to get used to. It is relatively easy to hit up-arrow by mistake but hopefully I'll get more precise over the coming weeks. 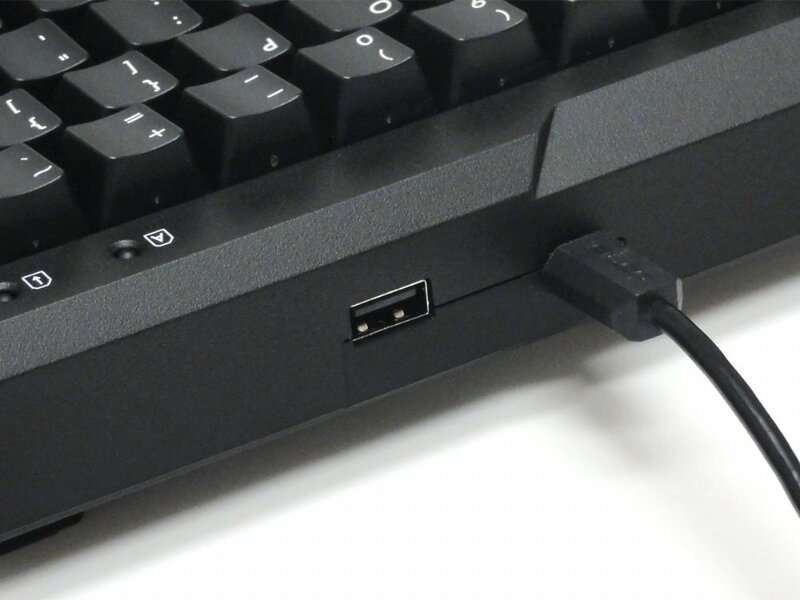 Also notable is the small space bar flanked by Fn keys. I have not found this a problem but if you find that's the case you can use DIP options to make either or both Fn keys act like space. I like the traditional UNIX keyboard layout and it was a consideration for me to have Ctrl to the left of A (again, so its handy for emacs). 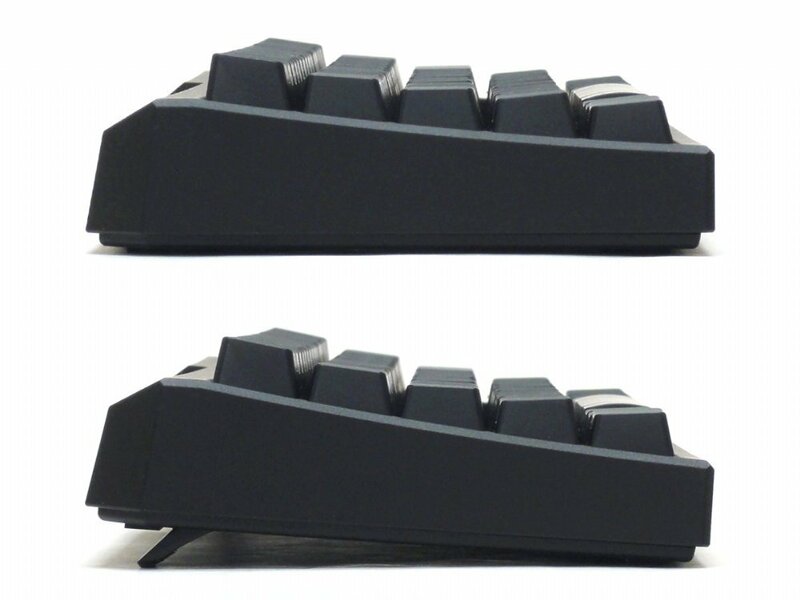 There's a DIP which allows you to swap Ctrl with CapsLock together with alternatively printed keycaps (see pic). The other change I made was swap Backspace with | so Backspace is right over Enter (pic). This gets around the rather small Backspace key which was located at the top right. If you want to have `~ at the top left where it is on a standard US layout you can swap around the Esc and `~ function on that key. I can only imagine this would suit someone who never uses Esc. Use - it's been a pleasure to use so far. The keys feel great and the layout is close to, if not exactly, what I want. It also feels like it will last a long time - hopefully as long as the HHKB. Definitely recommended if you're looking for a 60% keyboard and are content to live with the layout compromises. 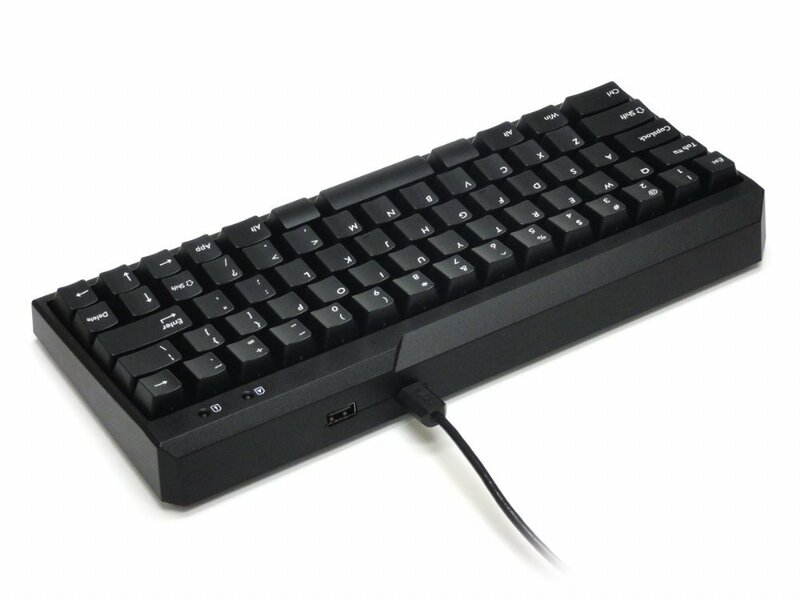 I bought this keyboard because it uses up less desk space.The feel and sound of the mechanical keys (I went for MX-Brown) makes typing a pleasure. I spend all day using my keyboard so its worth investing in something that feels good to use. I really don't understand why using this keyboard it's so addicting. 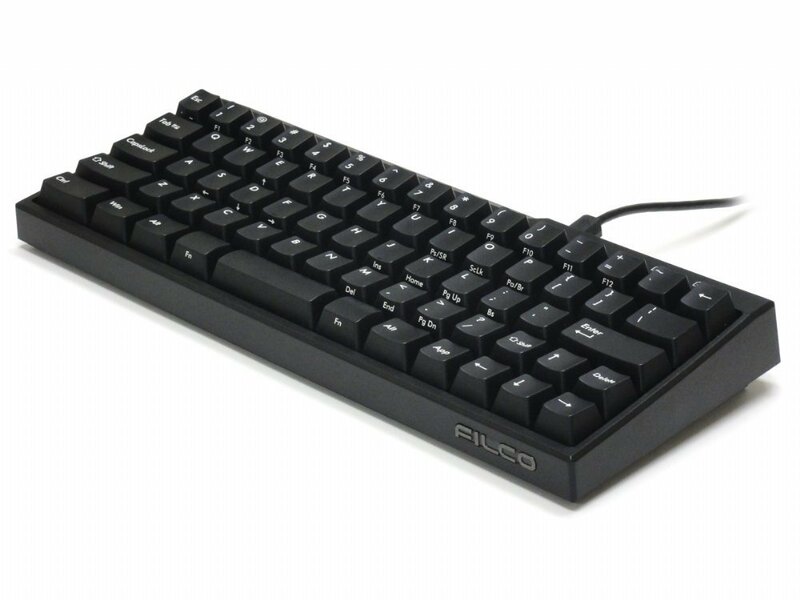 She provide a great typing experience: I went from another high level mechanical keyboard, but this Filco is far superior to my previous choise. The double function keys actuated with thumbs are simply perfects and with this layout you really never leave the home row. The design look a mix from 80's home computer era and a cyberpunk deck, and I really love it!